With over a decade of experience in solar, SCS is the right partner for commercial solar in Melbourne. Our focus on commercial solar and technical advisory will prove to be the best suited setup to assist your company. Take advantage of the benefits of solar modules for your company. 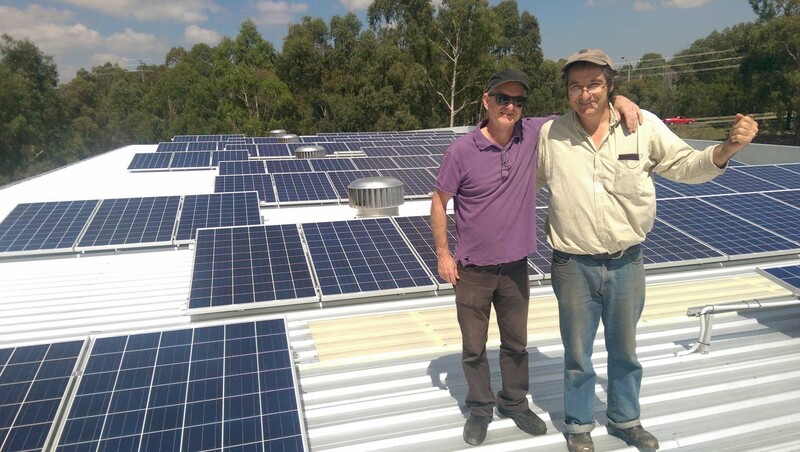 We provide services in commercial solar panels in the Melbourne metropolitan area. We always carefully consider each individual client profile, to ensure that the best service is delivered. We take into account your site and location specifications, your roof to analyze if there are any shading issues and your financial needs. Your company may even be eligible to receive a a solar system for free! By qualifying for our commercial solar sponsoring, your business can enjoy certain financial benefits that will provide an advantage for you. Whether or not the size of your business is small, medium or large, our commercial solar systems are tailored for each different business, be it small restaurants, schools, or even large manufacturing firms and factories. Our commercial solar products have sizes which range up to 100kW. If your company is not eligible for our commercial solar sponsoring, then you can have an option to lease solar panels. Under this option, there won’t be any worries of investing into the solar system nor maintaining it. There are many other financial benefits under the commercial solar leasing scheme and you can read more about it in our financial services section. For your business, we can also provide a Power Purchase Agreement, known as PPA. This never generates any negative cash flow. You only pay for what you consume and don’t have to invest anything. This is a very recent business concept which was first introduced in the United States. You can learn more about PPA within our financial services section. We also have a solar calculator specifically prepared for a commercial setting, so you can exactly find out how much your business’ energy bill could be reduced by with solar energy! The outlook for solar power in Australia is looking better after every passing year!